Flowing greenery provides organic texture, romantic atmosphere, and a natural tone. 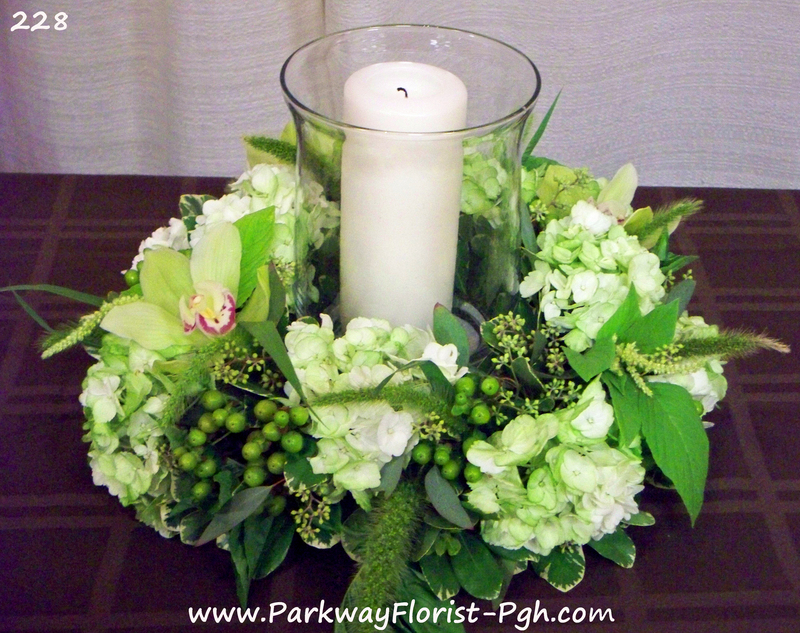 There are so many varieties of greens to choose from that any look & feel can be achieved. This is the “Wow!” factor. 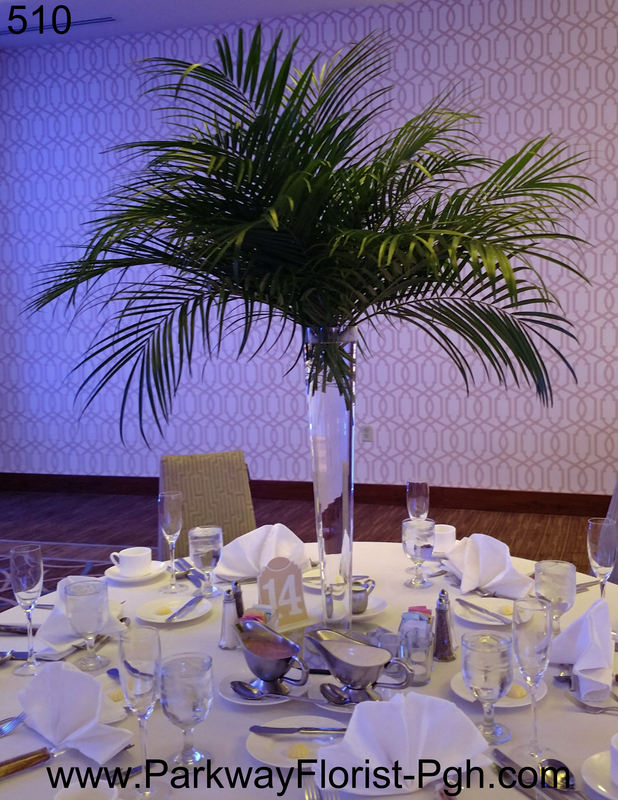 Eye-catching arrangements make a statement that greats your guests and demands their attention. 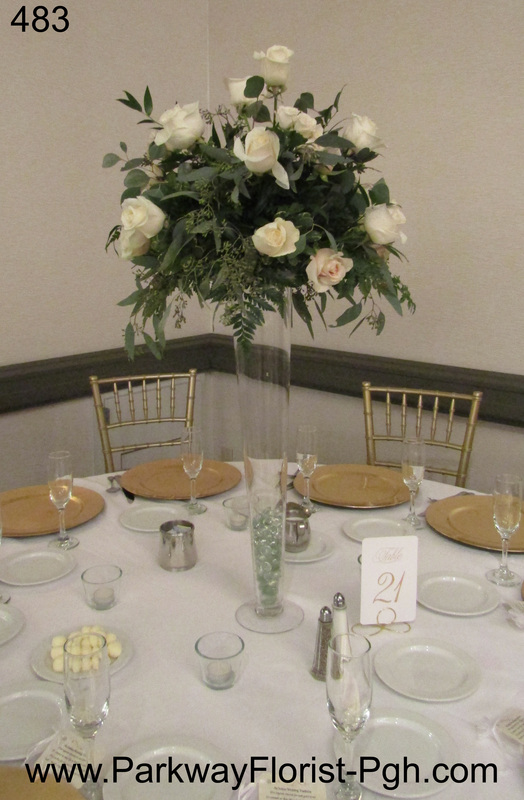 Elaborate designs require many flowers and provide a luxurious, upscale look to any ceremony or reception. 3.) Navy – is the New Black! Less harsh than black, navy makes for a perfect neutral to pair with a wide array of colors. 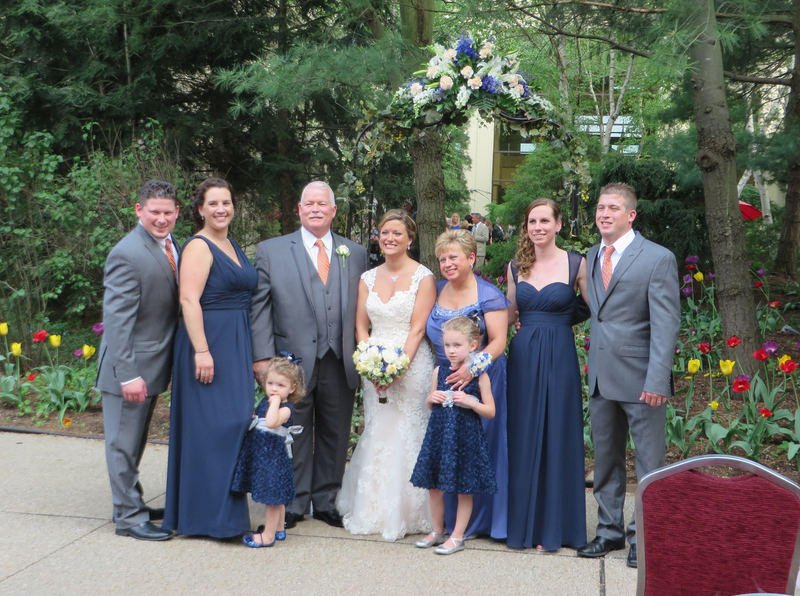 Whether it be tuxedos, bridesmaids dresses, or an accent color, navy is in! 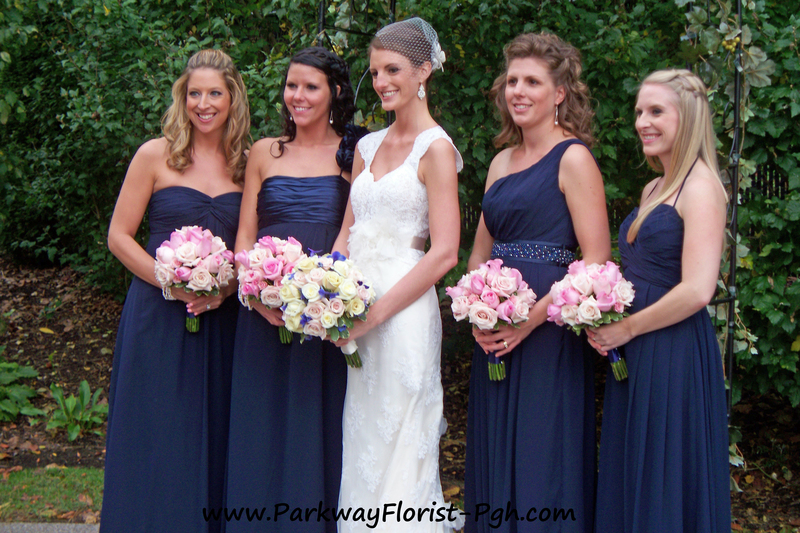 This creative take on traditional bouquets brings a natural contemporary feel to bridesmaid flowers. 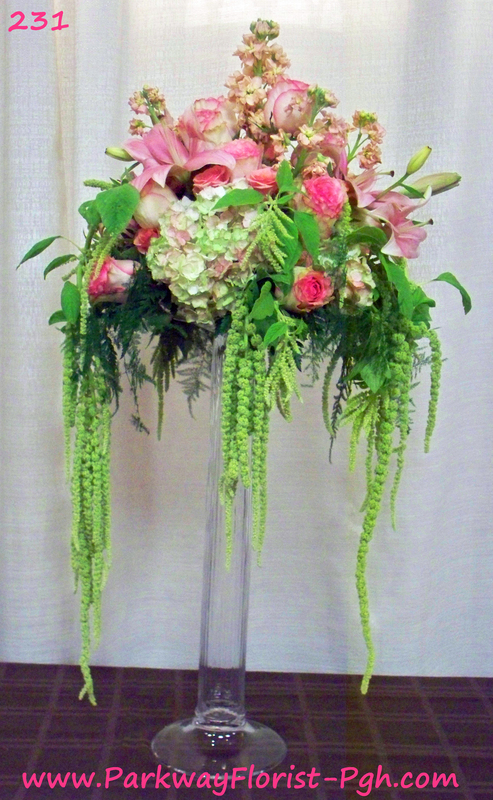 Complimenting the hanging florals trend, this look could be the special touch you’re looking for. Beautiful greens, branches, wildflowers, disbursed sunlight peaking through the trees, woodsy is a romantic route to go. The forest of beautiful textures leave us with endless possibilities. 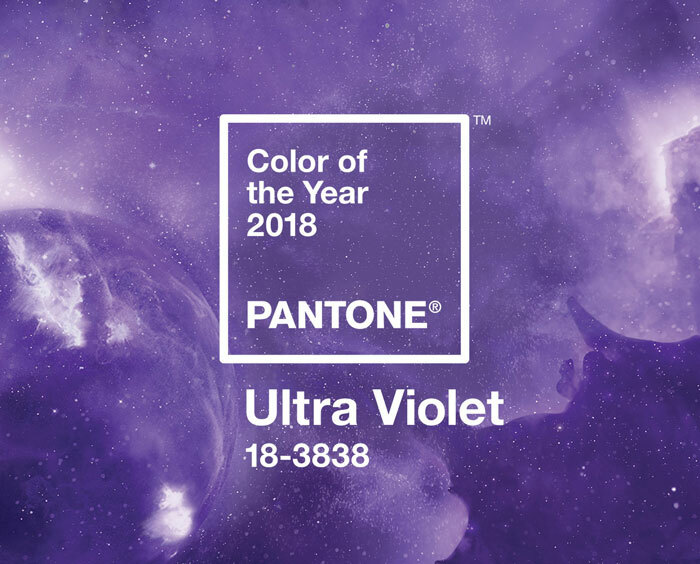 The 2018 Pantone color of the Year is called Ultra Violet. 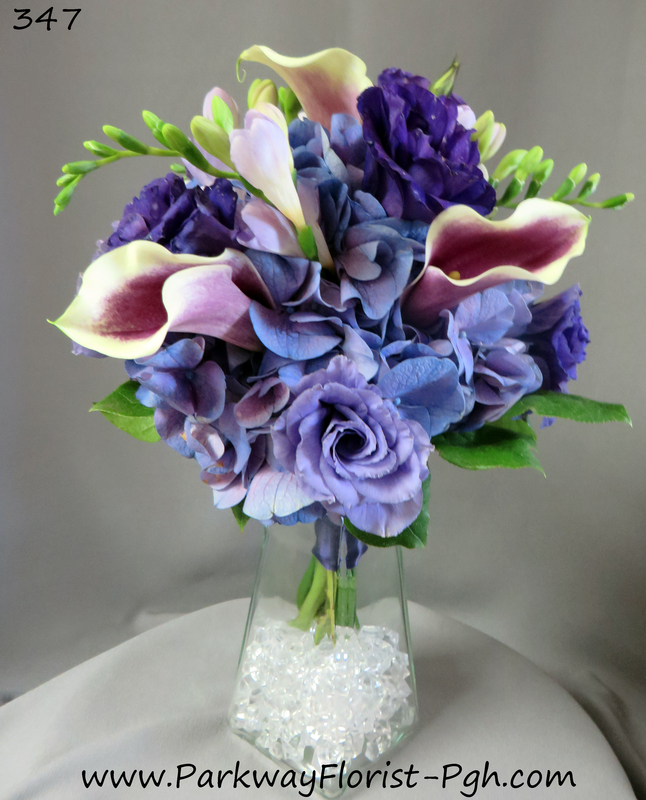 This moody hue is sure to be seen across the wedding industry. 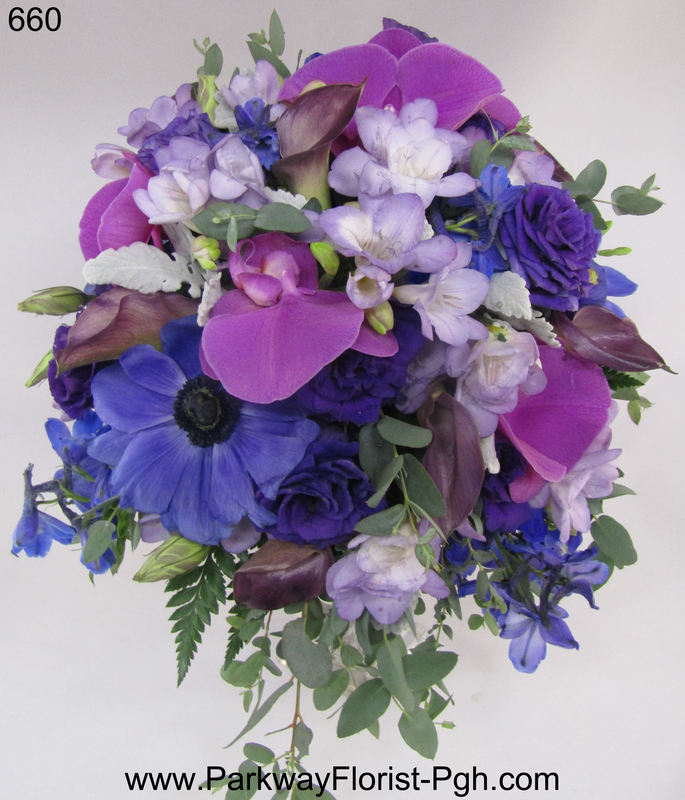 Following purple’s slow growing popularity as a wedding color, we can’t wait to see all of the creative ways that our brides will incorporate this color trend in their decor. (Just keep in mind that purple and lavender are receding colors, so things will tend to be dull looking when used with pastels. 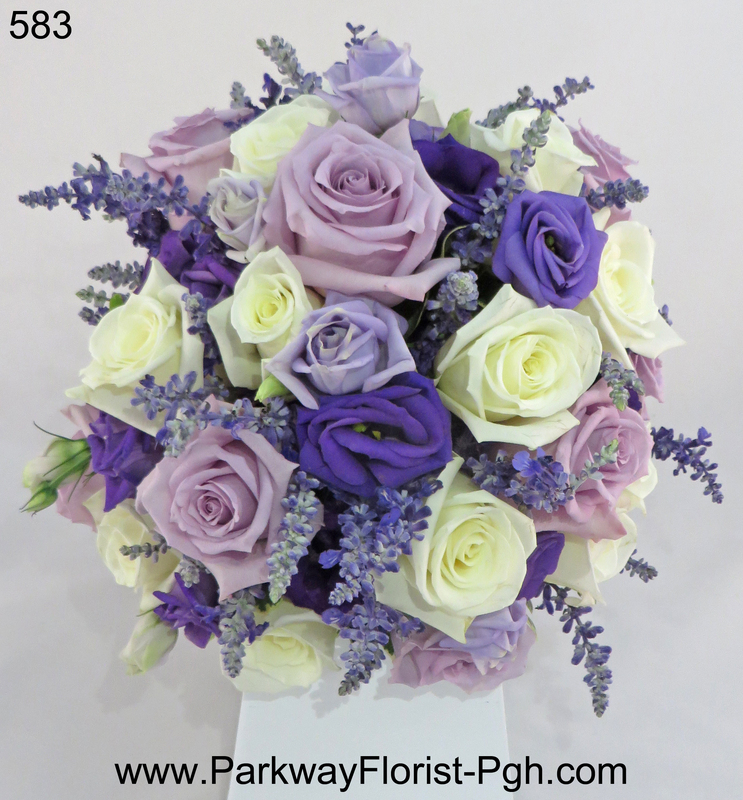 If purple or lavender are paired with a bright color, both will shine). So, since we are still very early in the year, and wedding planning is now in full swing for 2018 weddings, we hope these trends provide some food for thought and consideration in your wedding planning process. Should you like to discuss these ideas with us, please call us at 412-937-1100, and we will be happy to schedule a free cosultation with you. Happy Planning!! 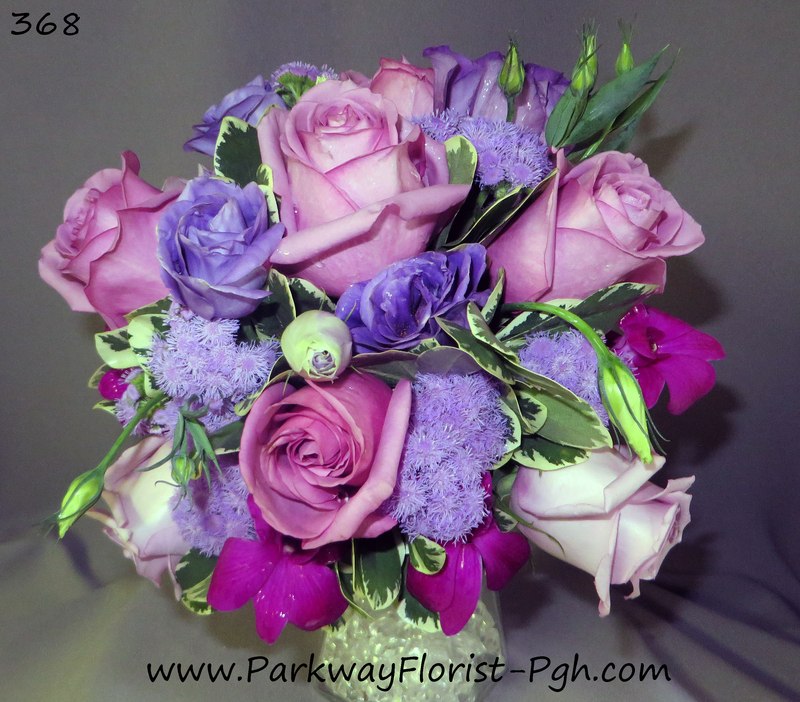 This entry was posted on January 19, 2018, in Weddings - 2018 and tagged 2018 Wedding Flowers, 2018 Wedding Flowers Trends, 2018 Wedding Trends, 2018 Weddings, Bridesmaids Wreaths, Flower Swags, Flower Wreaths for Bridesmaids, Greenery, Hanging Flowers, Navy Bridesmaids, Pantone Color of the Year 2018, parkway florist pittsburgh, parkway florist wedding flowers, pittsburgh wedding flowers, pittsburgh weddings, Ultra Violet, Ultra Violet Flowers, Ultra Violet Wedding Flowers, Woodsy Decor. Bookmark the permalink.